Three months ago Quinn Harlowe left the high-pressure hallways of the Justice Department to become an independent consultant and have more control over her life-maybe even have a life. But the nirvana of her new gig is short-lived when Quinn discovers her friend and former colleague Alicia Miller is dead outside Quinn's bayside cottage, Suicide? Quinn is doubtful. Investigating on her own, she soon discovers that someone is following her every move. Huck McCabe claims he's a bodyguard at Breakwater, a high-security compound near Quinn's cottage. But Quinn's suspects he's lying, never imagining the truth: McCabe is an undercover agent trying to penetrate a violent network of vigilantes-the same people Quinn has identified. Joined by a common goal, Quinn and McCabe must take on the fight of their lives...a fight they know could lead to disaster. Releasing as part of the Mystery/Thriller VBB, Happy Reading! Book arrived sometime this past week while I was on vacation. 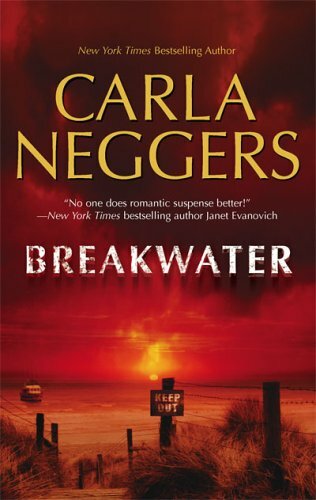 Hubby and I enjoy Carla Neggers and look forward to reading this. Thanks bookstogive! December has been a trying month to read. Vacation, Christmas, someplace to be, something to do. The book grabbed my attention from the beginning but it still took me 3 weeks to read it. Too much going on, many nights I read 2 or 3 pages and couldn't keep my eyes open. I liked the 2 main characters very much. Passing this one to hubby. Hubby enjoyed this book. I am reserving it to send to fellow bookcrosser, minesayn, for blind date with a book. Thanks again, southernfryed, for many hours of reading pleasure with this boxful of Blind Dates (with a book, err books) and bookmarks. Romantic suspense, one of my favorite genres. Looking forward to reading this one as well as the others.